Partner told me that, at a recent training/educational session, the trainer asked each member of the class: What’s your favorite movie? 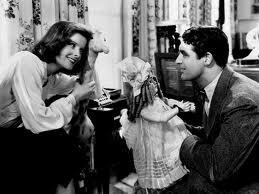 But, absolutely, “Holiday” (the 1938 version with Katherine Hepburn and Cary Grant) is on my list. Summary: Wealthy-by-birth Doris Nolan meets wealthy-by-hard-work Cary Grant at Lake Placid, and brings him back to New York City as her fiancé. Cary meets Doris’s carefree sister Katherine Hepburn, and realizes within a few days that he’s in love with the wrong sister. There are lots of things to admire here: Lew Ayres as alcoholic brother Ned, who’s pathetic but brave; Edward Everett Horton and Jean Dixon as Cary Grant’s funny best friends; George Cukor’s quiet sympathetic direction. This movie is a slice of lemon meringue pie, cool and refreshing. I could watch it morning, noon, and night. Do yourself a favor and take a look at it. I usually write these “appreciations” about hunky guys like Channing Tatum and Victor Mature and Aldo Ray. Well, this time it’s a tiny little old lady. Maria Ouspenskaya was a small regal actress who graced a number of classic films. She came from Russia, studied in Poland, and came to the USA in the 1920s. She liked it here so much that she decided to stay. Her heart was in the stage, but the financial troubles of the late 1920s / early 1930s made it necessary for her to look toward Hollywood. Her first film was “Dodsworth,” with Walter Huston and Ruth Chatterton. She plays a steely old European martinet who forbids Ruth to marry her son. She’s terrific, and she got an Academy Award nomination for the role. Ouspenskaya was reputedly difficult. She was scornful of her fellow actors. She knew herself to be a brilliant actress, and acted accordingly. According to her IMDB biography, she relied on celebrity astrologer Carroll Righter to tell her when she should and shouldn’t perform. This did not endear her to directors and fellow cast members. 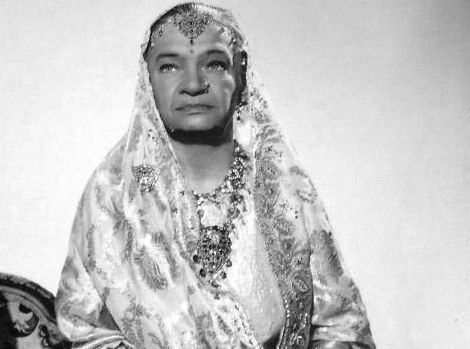 My favorite Ouspenskaya performance is in 1939’s “The Rains Came.” She is (to perfection!) the bejeweled Maharani of Ranchipur, smoking her cigarette in a long holder and playing bridge. She is dryly ironic, and she is wonderful. She was injured in a fire in 1949, which was (probably) caused by her smoking in bed. She was taken to the hospital, and died of a stroke a few days later. Honor her memory by seeing one of the movies cited above. You may remember that, some time ago, Apollonia’s sister Augusta challenged me to name my favorite movies. Well, she produced her own list just yesterday. Oh, my! I see into Augusta’s soul now. She is a romantic. But also a pragmatist. And also a student of human nature. 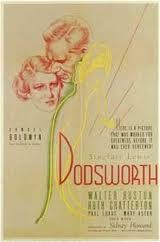 Dodsworth! Well, of course: we agreed on this one immediately. Augusta attached a wonderful 2003 article by Richard Schickel to her list, in which Schickel goes on and on about this movie. And if you have not seen it – oh, please, kids, go see it. It’s seventy-five years old, but it’s completely timeless. There are no heroes or villains here, only weary adults. And it’s sad, and romantic, and has a very happy ending, which perhaps you will understand as such when you are older. Being There. Augusta’s comment: “Sometimes I love this movie, and sometimes it’s ‘Eh.’ I don’t know why.” Complete agreement here. I remember loving when it first came out – my god, Peter Sellers, Shirley MacLaine, Melvyn Douglas! But when I’ve seen it since: it’s not quite as powerful. And the final scene (I won’t tell you if you haven’t seen it, I’ve learned my lesson) still eludes me. But it’s terrific in its way. The Cuckoo. Never seen it, and can’t stream it through Netflix. This is Augusta’s description: “A Russian Finnish Lapp film. I loved it.” Apollonia lit up when I mentioned it. “Oh, my god!” she said. “Is that the one where the woman – oh, I can’t describe it -” We looked it up on imdb.com, and it looks wonderful: the cover art alone, with a completely impassive-looking Lapp woman between two sullen-looking men, looks very promising. Augusta, listen: it’s on my list. Brief Encounter. Augusta’s brief comment: “I love it.” Well, how can you not love it? Celia Johnson and Trevor Howard, falling in love – but never quite falling into bed with each other. 1940s black-and-white at its best. A lovely delicate movie, with Noel Coward dialogue. How can you ask for more? Babette’s Feast. First of all, I fell hopelessly in love with Stephane Audran back when Brideshead Revisited was on TV, and she played Laurence Olivier’s weary but faithful (and lovely) mistress. “How good it is to sit in the shade and talk of love!” Here, in “Babette,” she’s a French outcast who comes into money and makes the most outrageously perfect meal for a group of puritanical Danish islanders. They eat, and drink, and see God. I wish I’d thought of this movie for my own list. It’s wonderful. There are more movies on Augusta’s list. But her list has made me think of other movies too. So we will have to move on to Part Trois, don’t you think? And now Apollonia has signalled that she may have thoughts on this subject too . . . Anyway: much more soon, kids!